As December is officially upon us, I thought that I would start a 4 part Gift Giving series, I'd like to point out that all four ideas are from Canadian Companies, which I absolutely love! Gotta support our Canadian businesses - big or small! First idea comes from the thought of gifting that special someone a luxurious sweet treat that you know that they may not buy to spoil themselves. 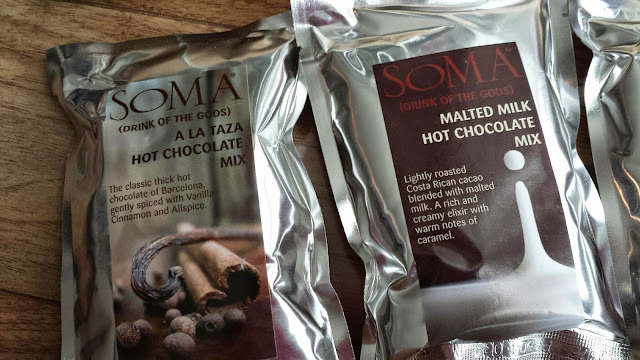 We're talking about luxury premium hot chocolate from Soma Chocolate. 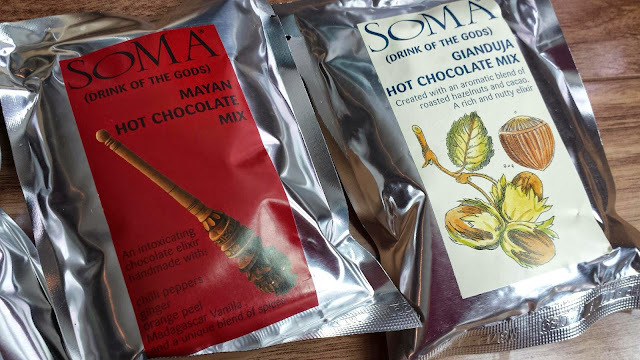 They have two locations in Toronto - Distillery District and one on King Street they roast the cocoa beans themselves, then refine them and make a medley of deliciousness. Some of the items include: truffles, gelato, cookies, toffee, spreads and of course, hot chocolate. They also make gift baskets for convenience if required. 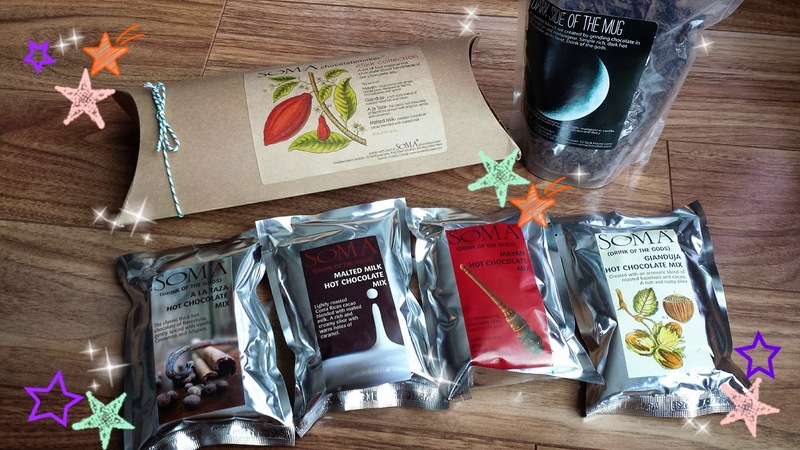 Here'a list of all the items they have in their store including big batches and individual items. 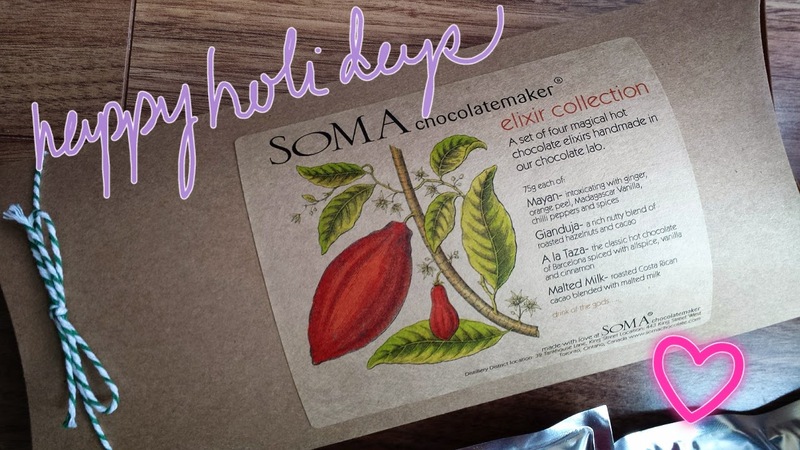 I believe that the hot chocolate 4 pack "elixir collection" is approx $25 and each silver pack will make a few cups each (i guess depending on how chocolaty you like it). 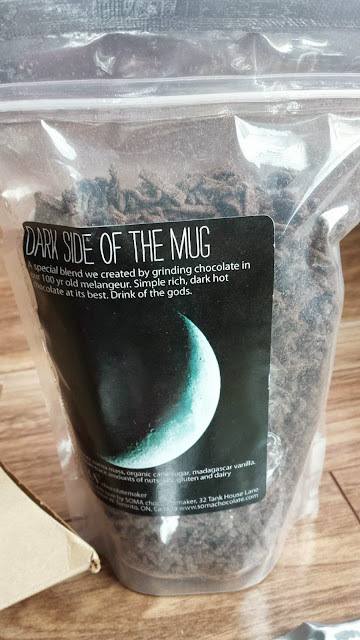 My coworker also told me to try "dark side of the mug" - that is a big bag of chocolate I believe about $10-15 and definitely makes at least 10 cups or more (again, depending on how much chocolate you use). The "dark side of the mug" is absolutely heavenly - it contains dark chocolate, cane sugar and a hint of madagascar vanilla. I boil the milk on the stovetop and pour it into my mug with the chocolate inside and top with some whip cream... mmm.. perfect for the winters I say! Definitely take a look at this gift - if you know someone with a sweet tooth and you want to spoil them with something a bit fancier, I think this is a perfect treat! You can always include a mug in a gift bag as well and it'll be all ready for the receiver to enjoy!